Peter Dalkas reading injunction. 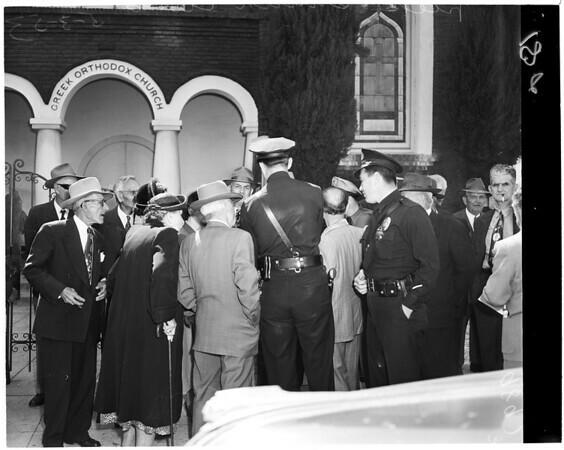 Crowd outside church. Greeks strewing leaves to decorate church doors. Officers A.R. Dusich & R.F. Kiser talking to crowd.